It’s unfortunate, but self-employed Canadians have to work harder than most to secure a mortgage. Thankfully, it’s not impossible and can go very smoothly if done right. Read on to learn more. Mortgage lenders are picky people and most of them consider self-employed people as higher risk. On the lender’s end, there’s more paperwork and a more thorough vetting process that goes with self-employed applicants. That’s why most lenders prefer traditional T4 employee applicants. Because self-employed people are viewed as higher-risk, you will likely have to pay a higher interest rate than your peers. Don’t take it personally; it’s just the nature of the business. The mortgage application process for self-employed people is not all that different from T4 employees. You’ll fill out an application, you’ll sign paperwork you’ll have to provide support documents, and you’ll be quoted a rate. Down payments, credit requirements and debt to income ratios will be similar as well. Mortgage documentation requirements are where things diverge. Traditional employees only need to provide a few documents (commonly a T4 or a payment stub) as proof of income. Self-employed people must show more including Notices of Assessment, financial statements prepared by an accountant, and T1 and/or T2 Generals. How is your business organized? Is it a sole proprietorship or is it a corporation? Documentation requirements differ for each. Most lenders will require a two-year record of earnings at a minimum which means two years of tax return history. There are specialty lenders that will look at applicants with less than two years income, but these lenders tend to have higher interest rates and restricted terms. Self-employed people write off their expenses to lower their net income and save on taxes. This is a double-edged sword when it comes to securing a mortgage. When considering applicants, lenders use debt-to-income ratios – a measure of how much of your income is used to pay debt. If you’re deducting expenses to show a lower net income, your debt-to-income ratios will be higher, which will hurt your chances of getting a mortgage. You may be discouraged right now, but don’t be. There are lenders out there who cater to self-employed applicants and love helping them buy homes. Here are a couple of tips that can help you score a great mortgage. It is very important to have good credit history. Many mortgage products are only available to those with credit scores above a certain threshold. There are websites that allow you to view your credit score for free, so be sure to take advantage once or twice a year. If your credit score is low, try to improve it. Otherwise, you’ll have to find a cosigner. Make sure your financial statements, tax returns, etc. are organized and accessible. If you’re meeting with your lender, try to have a tidy folder with all necessary documents in place. This will help instill confidence in your lender and possibly lead to more favourable rates and terms. 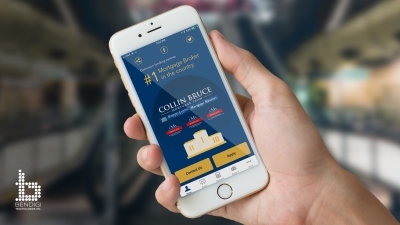 The Collin Bruce Mortgage Team is an experienced group of mortgage advisors that have helped thousands of clients find homes. If you’re self-employed and are having problems securing a mortgage, please get in touch. We have access to hundreds of banks, credit unions, and financial institutions and offer dozens of services including no down payment mortgages, first-time homebuyer mortgages, second mortgages, and refinancing. Contact us today to find your next home.